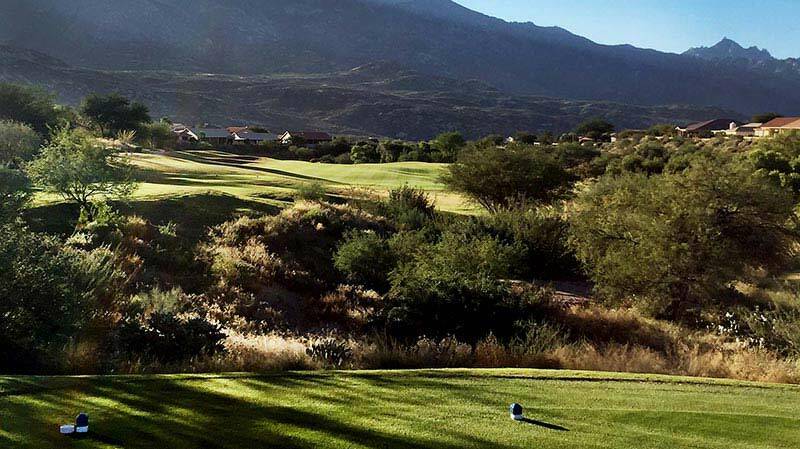 Nestled against the foothills of the Santa Catalina Mountains, SaddleBrooke One provides residents and guests with 27 holes of park land style golf featuring undulating fairways and tall native trees. 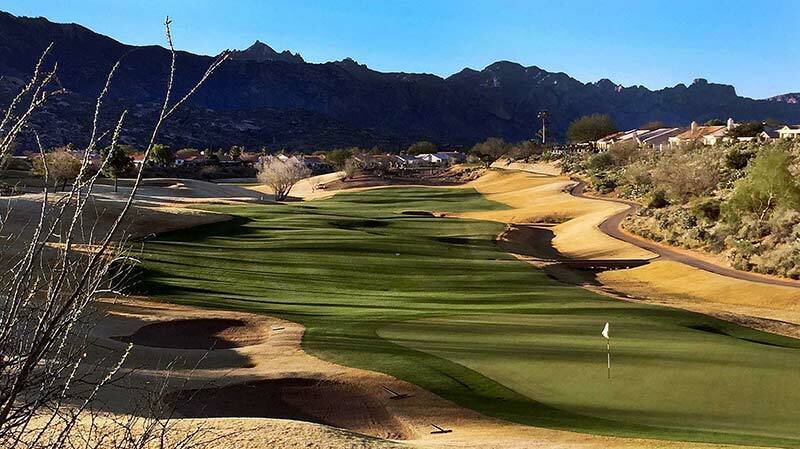 There are three courses: SaddleBrooke, Tucson and Catalina, which may be played in any combination to create a unique golf experience. - TRADE IN CLUBS - COBRA GOLF VIP DEMO DAY - GET GOLF READY NEXT STEP CLASSES! Information for the SaddleBrooke Golfer! SaddleBrooke Golfers: - Please Check in With your Starter. *There seems to be still players who are NOT checking in with the Starter before your round - If anyone needs more understanding or has questions please visit the pro shop. Please remember to have all members of your group arrive for your tee time at least 20 MINUTES before your scheduled tee time and then check in with your Starter. All players must check in with the Starter, regardless of membership type. If you are interested in purchasing new clubs for 2019 - We can accept your old clubs and give you Pro Shop credit towards the purchase of a new Driver or Set of clubs. Stop by today for a trade-in Value; we offer this year round. 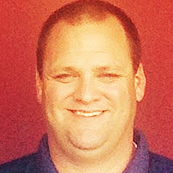 Please see Head Professional Troy Jewkes for information on Trade in clubs. Come and Learn all the In's and Out's of the Chelsea online Tee Time Reservation system. Our next Class will be held on Monday May 6th at 4:00pm - in the Coyote South Room. Please email mfullerton@saddlebrooke.org to register for the class. Thank you. For Your Information - Please do not stop in the Pro shop for tee time changes to people in your groups; please send an email instead. For any changes in players for your group play or changes in tee times - PLEASE EMAIL THE PRO SHOP rather than calling the pro shop and creating a back up at the Counter. Thank you very much. **Email the Pro Shop at - proshop@saddlebrooke.org and we will help you with any questions you may have. Come enjoy some great golf and great food! *Discounts not applicable to Special Orders and may not be combined with other discounts. Valid for in stock product only. Additional discounts Not valid for sale rack items unless stated otherwise. Prices do not include tax. For the first time, you can fly over all 27 holes above our three courses. Check out the videos below for a bird's-eye view of SaddleBrooke. 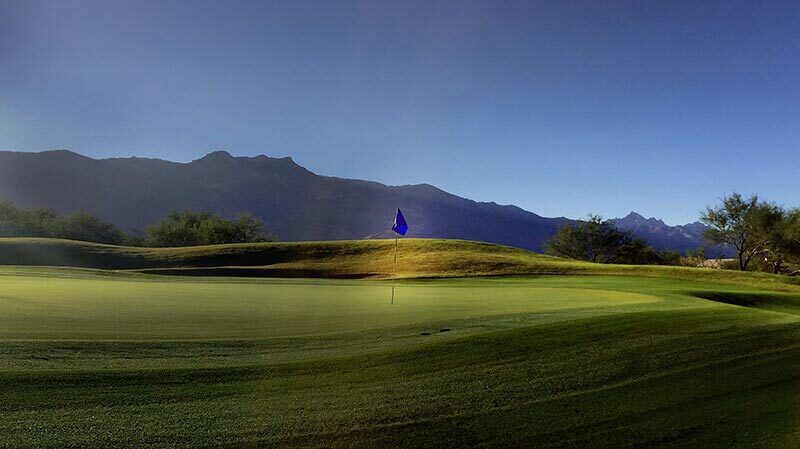 Recently renovated in 2011, the Tucson Nine is regarded as the most challenging of the three courses in SaddleBrooke. 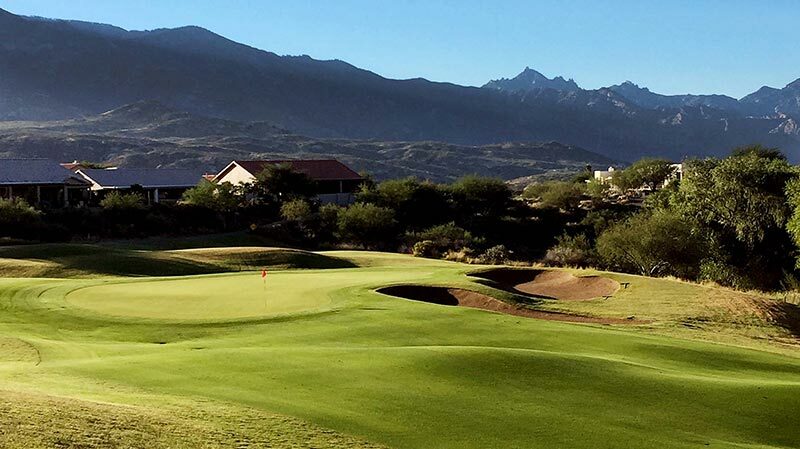 The course offers stunning views of the Catalina Mountain range from every hole. This nine is highlighted by hole #4, a strong par 4 requiring a tee shot over a pond to a sloping fairway with gorgeous mountain views in the background. The course challenge lies in the deep bunkers which await an errant shot and the length of the course. Recently renovated in 2010, the SaddleBrooke Nine offers westward views of spectacular sunsets. This course is characterized not by length but rather by placing a premium on accuracy as is evidence by the signature hole #2 – only 125 yards in length requiring all carry over a pond. The SaddleBrooke Nine is the most requested nine for its fair yet challenging layout. The newest of all three nines, the Catalina course was recently renovated in 2012. The course features three par 3 holes and plays to a par of 35. 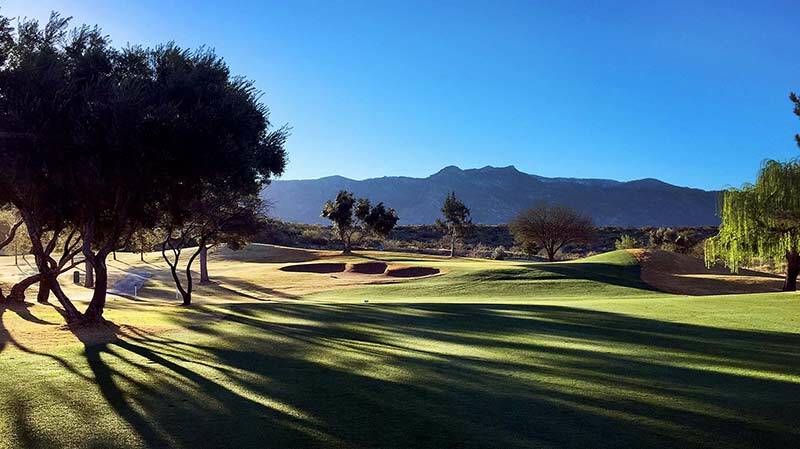 The course wanders through natural arroyos and brings the golfer close up views of the Catalina Mountain range. The signature hole #5 is a risk-reward par 5 featuring a second shot which must carry 250 yards to clear the ditch in the fairway. The Catalina Nine offers a wide variety of golf shots and is regarded among residents as the best layout of the three courses.